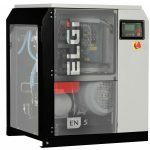 2.2kW to 5.5kW (3 to 7.5 hp) are available with 220L (60 Gal) receiver and 7.5 to 15kW (10 to 20hp) are available with 270L receiver. Free Air Delivery (FAD) is tested as per ISO 1217 : 2009 Annex.C Ed.3. Sound level measures as per ISO 2151, second edition at 1m distance in field conditions, +/- 3dB(A). 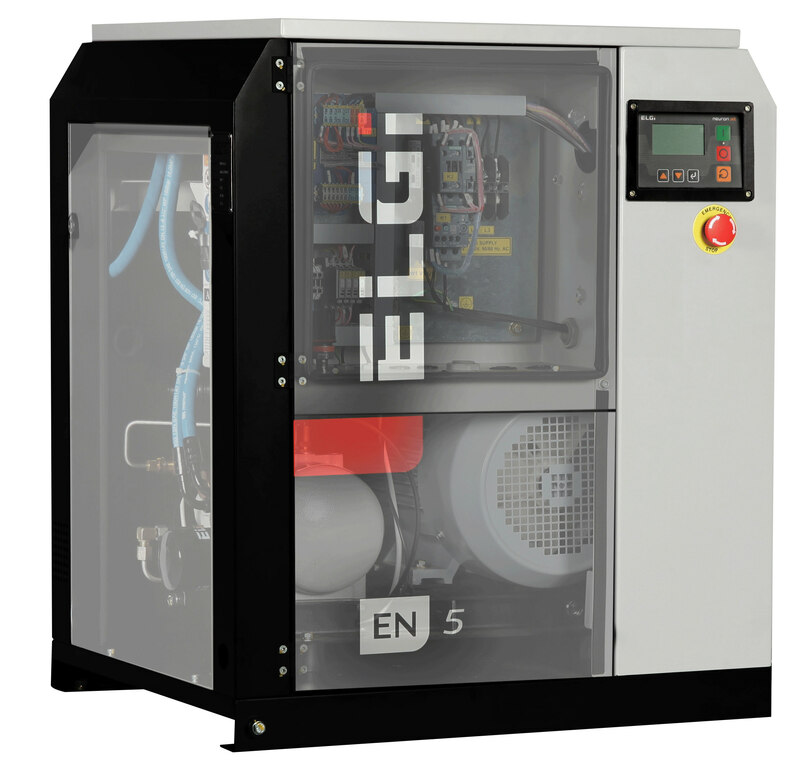 ** Compressors with horizontal receiver tank and dryer available as option (for models up to EN 15). *Weight and dimensions are for the base unit. Due to continuous improvements, the specifications are subject to change without prior notice.